Over the past few weeks, I have started working on the early stages of a book-length project related to the Super Mario Bros. series of videogames. The project is still entirely embryonic, and I was not planning to share anything about for a long while. But with today being a historically awful day in the history of the United States, I found my grief over our present situation mixing with my continuing immersion in Mario’s world – and as I wrote up some notes, I found myself attempting to reconcile the boundless joy of Mario’s Mushroom Kingdom to the hopelessness and dejection so many feel today. So I present those thoughts here, as a brief essay. It isn’t much, and its insight is probably limited. But this is how I coped today. Perhaps it will give you too a small reprieve. There is no sadness in the Mushroom Kingdom. The colors are always bright, the sun is always shining, and the music is eternally joyous. The heroes are cheerful, tackling every challenge with a smile, and the reaction to their success is always jubilant – fireworks, dancing, and triumphant fanfares accompany every victory. Even the enemies are jolly in their dutiful role as obstacle; Koopas smile, Chain Chomps bark, and Shy Guys move with an air of joyful mischief. 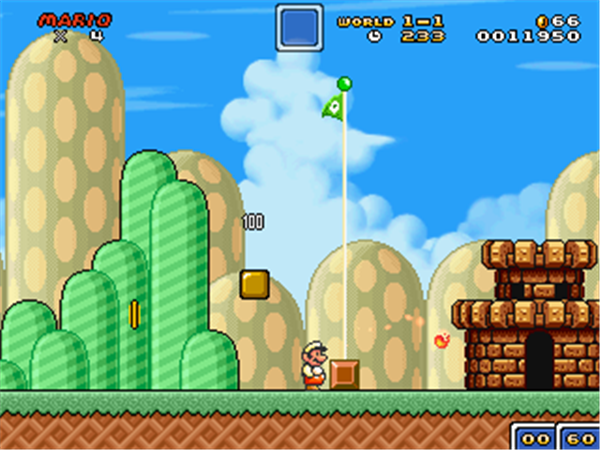 In some games, the enemies will even dance in time to the music – their impending demise at Mario’s hands is no reason to ignore a good tune. There is no sadness in the Mushroom Kingdom, and no matter one’s circumstances, it is difficult to play a Mario game – of any variety, be it traditional platformer, quasi-RPG, kart racer, sports spin-off, etc. – without feeling an infectious sense of happiness. From the moment graphics were advanced enough to allow him to do so, Mario has always smiled, and that smile rarely, if ever, wavers. He wants you to smile too. And chances are, if you pick a game with his name in the title, you will start smiling as well. My father encountered many hardships in the later years of his life, some stemming from defects of personality, others from chance and terrible luck. In those hard times – between losing jobs and being diagnosed with cancer – he would often retreat to the Mushroom Kingdom, for it was a place that brought him joy. A penny-pincher, my father never bought a Nintendo console for himself, but when my brother or I would move on to a new model of GameBoy or Nintendo DS, he would take the old one, find a game, and play it over and over again. He was particularly smitten with the Wario Land series and the first New Super Mario Bros. He would play those games all the time when he was at home, which became increasingly often as his health worsened. He played each of them several times, turning over every secret and surprise he could find. To this day, I cannot separate the character Wario from the identity of my father (one of the biggest jolts, after he died, was turning on our old Mario Party 2 cartridge to find an unfinished game he, myself, and my brother had been playing; we knew because the third player was Wario); and he played the Luigi poker minigame in New Super Mario Bros. so much that the game of poker, Mario-ified or not, is for me eternally connected to memories of my father. I guess I never thought too hard about why my father played these particular games so much. On one level it was just convenience; those were games we already had, and he never liked to spend money on this sort of thing. But I also think he probably felt like he never had to looking any further. In the Mushroom Kingdom, he found solace – he ventured there by happenstance, but once arrived, he needn’t wander any farther. On this most awful of days, though, as I process America’s unspeakable election of a fascist and its electoral rejection of anyone even vaguely considered ‘other,’ I think I finally understand – and I think I’m maybe seeing something in Mario I never saw before, but which my Dad intuitively sensed. I have spent the day playing hours of Super Mario Galaxy on the Wii, and in the lead-up to the horrible election, I have been playing or sampling a whole host of other Mario games – the original NES title, Super Mario World, Super Mario Land, both the Japanese and American versions of Super Mario Bros. 2, etc. On one level, it’s research, as I found the inspiration to start working on a book critically tracing the history of the Mario series in all its wonderful incarnations, and as I play I am taking notes and compiling outlines. But on the other hand, it is now undeniable to me that I have been taking these increasingly frequent trips to the Mushroom Kingdom as a coping mechanism. The amount of anxiety I have felt over these past weeks towards the state of our country and what will become of it has been, on occasion, crippling. I have found myself unable to do my work at times, to sleep at others, to breathe naturally throughout the day (and as a white, straight male, I stand to lose very little in comparison to so many more marginalized groups – a pang of empathy which should be equally emotionally crippling to all good people). Mario helps with that. If I was drawn to Mario again in part for academic reasons, it has also been, just as much, out of a need for comfort, joy, and escape. And in the Mushroom Kingdoms, those feelings are provided, in the sort of celebratory and invitational way that video games are, among all forms of art, uniquely poised to offer. 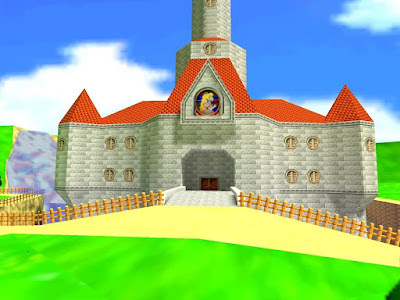 For all the reasons enumerated above, it is difficult to feel sad while within the borders of the Mushroom Kingdom. But there is a deeper level of emotional catharsis at play here, I think, something that goes beyond the reach of mere escapism. 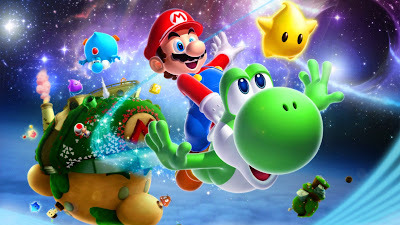 As I spent the day with Mario, travelling through space on our joyous intergalactic journey, I found myself struck by something deeper, something subliminal, an undercurrent of meaningful happiness and genuine hope that I desperately needed to feel today. It is embedded deep within the most foundational aspects of gameplay, things Mario helped pioneer and which we now take for granted. In any Mario platformer – be it side-scrolling or three-dimensional – the basic process of trying, failing, and trying again until one overcomes every jump, obstacle, enemy, or puzzle is well-known to us. Mario runs, he jumps, and if he falls, you get to try again. There is, for that reason, a lot of failure inherent in a Mario game. For all except the most naturally skilled players, one doesn’t succeed on most Mario levels – or even smaller parts of larger levels – one’s first time through. Mario will fall, or get hit by an enemy, or blindsided by a Bullet Bill, and the screen will go to black, and he’ll have to try again. Mario will eventually succeed, of course, but that success is always hard-earned. And there, perhaps, lies the revelation: That Mario doesn’t just eternally succeed, but that he succeeds by trying hard. That in partnership with you, the player, he will fall down an infinite number of times, through an infinite number of lives and game overs and continues, until the two of you, like friends working on a difficult project together, figure it out and move triumphantly past the obstacle. Mario is patient. Mario is optimistic. He will be there for you, with a smile on his face, no matter how long it takes, no matter how many times you have sent him to his doom. He will welcome you back if you get frustrated and take some time away, and celebrate with you when you win, even if the attempt has taken an embarrassing number of tries. His friends – Luigi, Toad, Princess Peach, etc. – are steadfast, and their hope runs eternal. Even if your confidence runs out, they will always have more to give, in the form of smiles and steady, cheerful encouragement. If you go away from them for a while, they’ll be happily ready to try again when you return – whether it’s days or years later, no matter where you are in your life. Mario is always ready for more. Mario doesn’t give up. Neither do his friends and family. Even his enemies are admirable in their steadfastness. 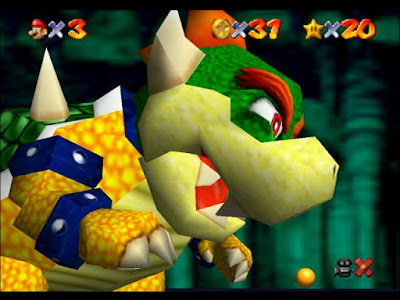 Bowser will never get what he wants, no matter how many times he kidnaps Princess Peach, no matter how many grand structures he builds, no matter how many outlandish schemes he hatches. It’s just destiny – at the end of every one of these games, Mario will defeat him, and Bowser will go back to licking his wounds. And yet Bowser always comes back and tries again. Because there is always a Bowser, and there is always a Princess, and there is always a struggle to keep up with the dastardly foe who seems forever one step ahead of you. Today, I realize this is not just true in the Mushroom Kingdom. It is true in our real world. There are Bowsers everywhere, and there are (symbolic) Princesses everywhere, and life can sometimes feel like an endless succession of monsters kidnapping one’s Princess, running away to a place one cannot follow. On days like today, it feels like the monster has gotten well and truly away from us – he has stolen our hope, and he has built a grand structure to reward himself, and he has hatched many devious schemes we feel helpless to prevent. It feels like catching up to the monster is impossible. But in the Mushroom Kingdom, there is always hope, and it is the one thing no monster can ever take away. There is always Mario, always ready to be your friend, always willing to try again, always willing to work on overcoming these obstacles over and over and over until the monster is confronted and defeated. And if the monster comes back again? Well, Mario’s up for the challenge. And he’ll do it with a smile on his face, surrounded by friends and family, with joyous music playing against the beauty of a wondrous natural world. And every time, he will invite you to come along, without judgment or pessimism. I like visiting the Mushroom Kingdom. It is an escape, yes – but if I have learned anything from my travels today, it is that the trip doesn’t have to be a one-way street. There are lessons in Mario’s world we can take back to our daily lives – we could all stand to be a little more like Mario. Because Mario isn’t particularly strong; he is not invincible, and he gets knocked down plenty. But no matter what, every time he falls, he gets back up. And he smiles. And he tries again. And in the end, that makes him unbeatable. Hey, you just blocked my account on Twitter saying I'm a Bernie bro. I'm not from the US but I would have absolutely voted for Clinton if I could have (a Trump presidency will affect the rest of the world in negative ways too). I've been listening to your podcast for years, I wasn't trying to harass you. Sorry if you felt that way. My apologies. As you can imagine, I've had to develop a quick 'trigger-finger' on blocking people on Twitter this year; there've been too many random people coming out of the woodwork. I saw your tweet come by, didn't look that hard at it, and blocked instinctively. I took another look and you are right - my action was unwarranted. I see where you were coming from and I apologize. I think we're all on edge, and frankly, it's one of those situations where we've all been the weeds so long it's becoming hard to tell enemies from friends. So I'm sorry - I unblocked you, and I deleted those other tweets I made. My bad. Thank you so much for taking the time to listen to us and to write this comment. I am sorry you had to do so, and I wish you all the best. No problem, thanks. The next four years are going to potentially be spent defending basic rights, so a degree of anger is to be expected. From the UK here, so our brexit situation has equally made people of other races and creeds believe they're not welcome and don't belong. It's definitely going to be hard to stay positive, but the sentiment of this article holds. We're taking a setback now, but we'll win in the end.